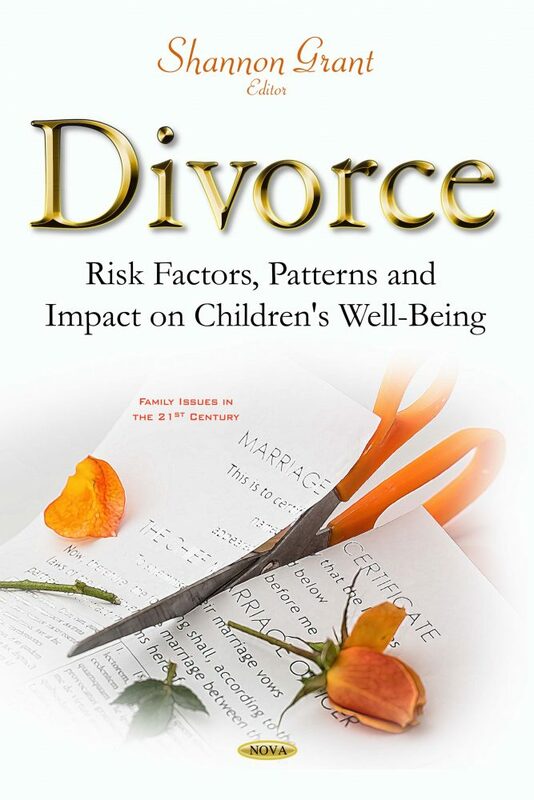 This book provides current research on the risk factors, patterns and impact on children’s well-being of marital divorce. The purpose of the first chapter is to examine the relationships between divorce, the single-mother family, the single-father family, and youth crime using a social disorganization framework and community-level data from 454 Canadian municipalities in 2001 and 2006. Chapter two provides a review of the disruptions in close relationships in children and adolescents with divorced parents. Chapter three reviews the more scant literature on naturally occurring coping efforts among children of divorce, including the importance of social support, help-seeking behaviours, and the continuum of active to more passive coping strategies originating from the cognitive-behavioural perspective. Chapter four compares perceptions of coparenting in divorced and married parents, both fathers and mothers, and assessing their relations to school-age and adolescent children’s psychosocial adjustment. Chapter five studies stepfamily transitions and common accompanying beliefs, and reports the findings of an empirical study which aimed to predict two aspects of remarital quality – dyadic adjustment and relationship commitment – via a measure of the changes in one’s beliefs over time about remarriage and stepfamilies. Chapter six illuminates how specific children seek to connect and balance out the everyday life by being attentive to repeated routines as well as differences between their two households. The final chapter studies children’s experiences of sibling relationships after parental separation.